The Sports Science and Health student travelled down under last year on placement, and has been more than impressed with how well the club has done in the past twelve months. “I suppose being immersed in it the whole time, and then stepping out for the year and coming back, I really see how much they’ve come on.” she said. “Just coming back from a year off, to see how well the club has progressed in terms of technique and sparring, everything has progressed really. “The standard is always climbing, it’s getting better all the time. Smith has embraced coming back into the fold this year, and will be fighting in London this weekend – her first fight back since her trip – but the fight will be a massive step up, in more ways than one. “It’s a charity event, there’s eight to 10 elite fights.” she said, talking about London. “There’s a DCU selection going over, along with a few other top quality boxers from around. “It’s my first fight back in a year – I didn’t get the training over there that I would have here, so this is going to be really good preparation to see where I’m at. 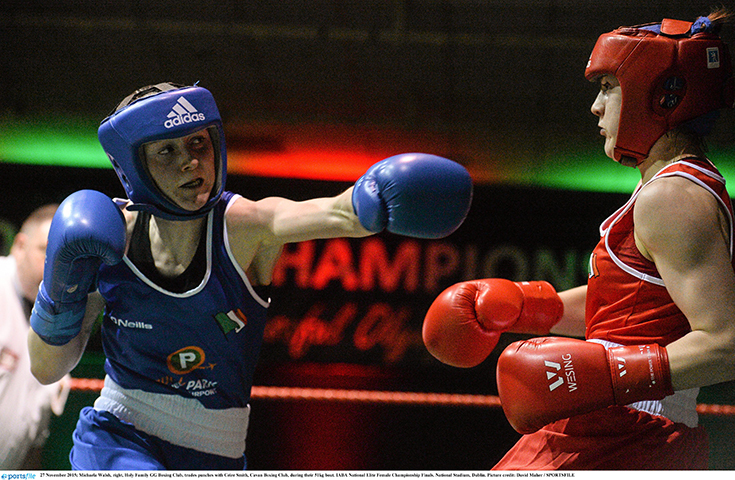 Smith will use the fight as a way to settle back into the swing of boxing – with provincial championships coming up before All-Ireland’s, intervarsities, and European Championships in 2018 – but she is pleased with the support she’s had at the club. “We’re consistently training, the lads put in a lot of work over the summer, training outside of DCU, a lot of baseline fitness stuff.